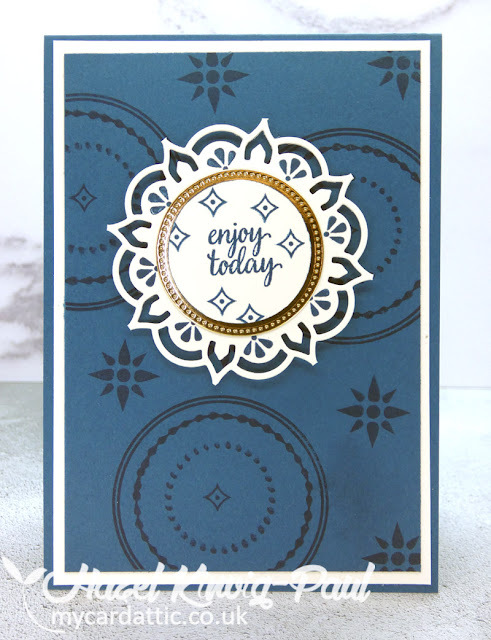 My Card Attic: Another Quick & Simple Card . 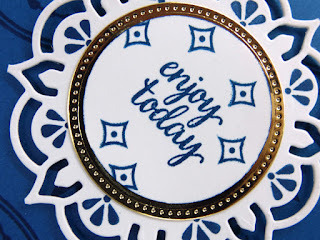 . .
Hello crafty peeps! Of course, this stamp and die set needs no introduction any more, as you have seen it so often here (and everywhere), so I will just go ahead and show you the pictures. Card-stock and ink was Stampin' Up's 'Dapper Denim'. Have a great weekend lovely people and thank you so much for your visit today and especially if you have left a comment. You are all appreciated more than you know! great card Hazel! 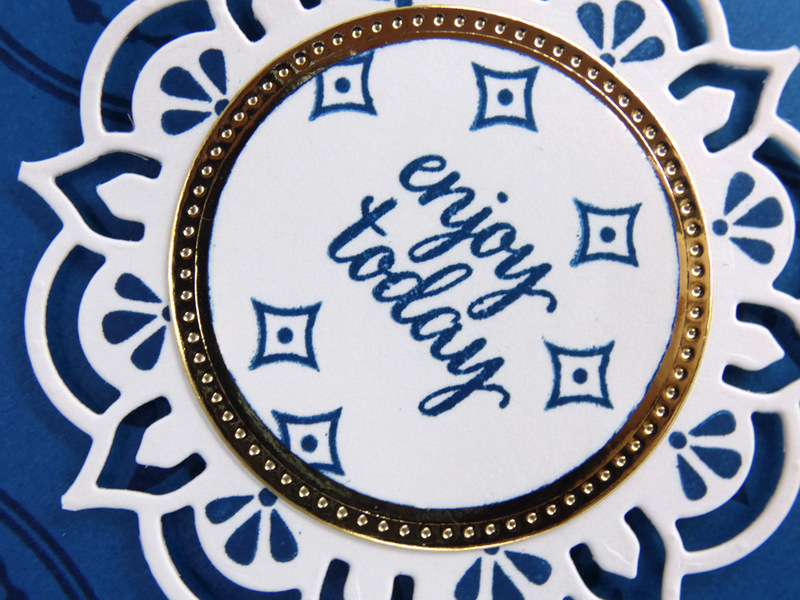 love the crisp blue and white! Very pretty and elegant Hazel. That bit of gold just seems to elevate everything Hazel. 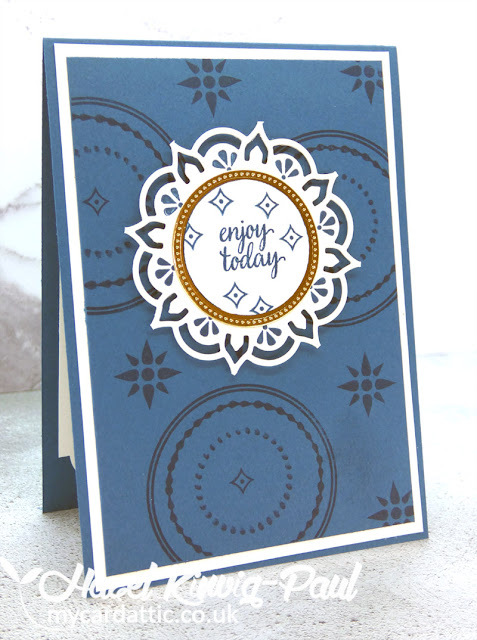 Lovely card, bold colors and fabulously stamped. Lovely card. The blue background really highlights that focal image. And the touch of gold is so elegant! TFS your new SU products, Hazel. Really beautiful CAS design using Dapper Denim, which I have! Hugs..
You've created another beauty, Hazel! Love this one with the white medallion against the intense blue. So striking! Not only quick and simple, but also classy, my friend! 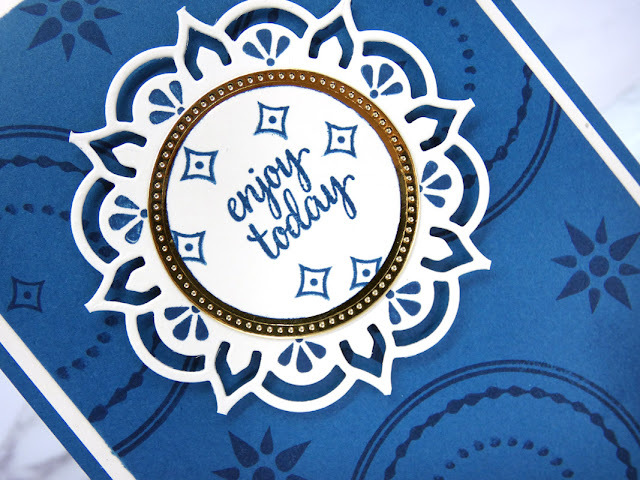 Every card you make with this suite looks elegant and classy! And this one is no exception! 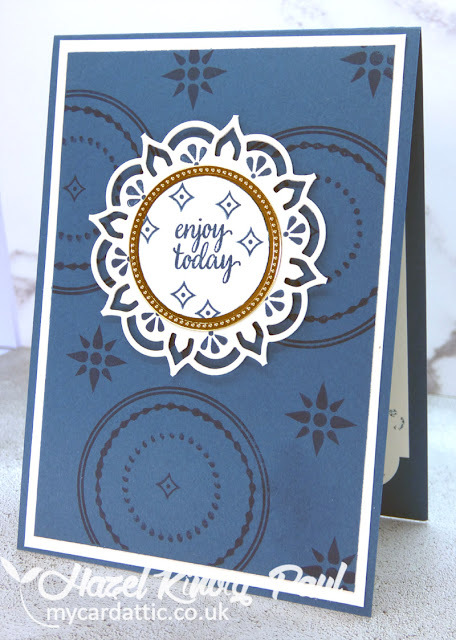 Love the fabulous color combo!